Personalizing Your Search with Google Personal Tab! Google has never failed to surprise. This time they add their and our personal touches to it. Imagine logging into your Google account, which all of us permanently do, and finding your search window personalized according to your like/dislikes and interests. Simplifying life, right? What’s new in Google personal tab? The latest additional to Google includes the addition of the Google personal tab on your Google page. Mountain View –giant has successfully made the addition of personal tab in the Google search section. The access is limited to people who are logged into their Google accounts and automatically Google will sync results from one’s Gmail and Google photos. It is easy to spot under the search tab and can be used by every Google user. On the other hand, it can be seen under the More tab. Even an amateur won’t have trouble with the feature. How do we use Google personal tab? The usual drill starts by logging into one’s Google account and enter the related search in the search tab, following this Google personal tab is used and this will show all related results that you have used or accessed previously through Google. Might seem like intrusion of privacy, but it’s not. It is simple and precise at the same time. To add on to this, photo searches too have been made easier. The related photo is selected and again clicked to find out more about the topic in mind. It is similar to the previous addition of the In Apps feature, by Google by virtue of which an individual can access their Apps for data like messages or contact details. 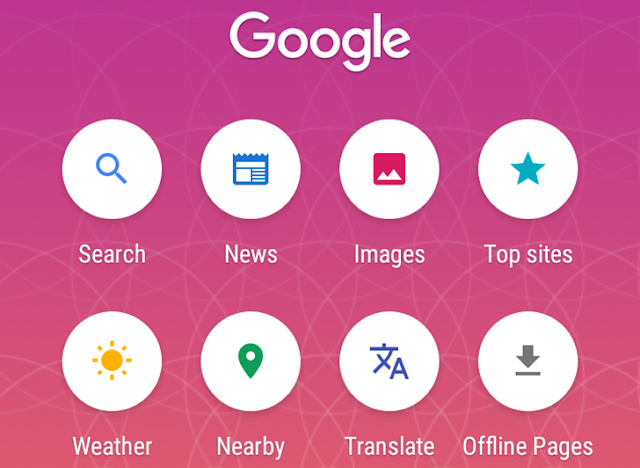 Another addition was the shortcuts option delivered by Google to Android and iOS and Google.com users to access the search tab in a jiffy. Revolutionizing web experience with Google personal tab! Google is revolutionary and innovative, and time and again they have proved so by adding the smartest of technology on their web features. Google is the common man’s helpdesk and what is better than bringing down the entire world’s data one touch away. People are busy and they want output fast in today’s world. Google has taken care of that. The personal search tab by Google makes sure that our work is not only simplified, it is fast and precise. People can also get flight details, internet speed, travel information, navigation etc shortcuts via Google. Thus small searches are shown with a wider spectrum with a personalized touch. For example, one might search for a particular shopping site they want to access, Google shows all the previous orders placed on the same site, giving individuals a view of their activities, again simplifying their life! It might take some getting used to, but with time this addition too like the rest will be a huge success. No waiting for long hours and browsing to find data, everything is one touch away in every individuals smart-phone. Various search engines and Google regulate search result rankings by looking at huge amounts of user data and scrutinise user activity within the results. The search engines examines large sets of user data observing a variety of things in determining user’s satisfaction with the search results which are the long clicks vs. short clicks. Internal metric Google utilising to determine search success, is time to long click and to comprehend this metric,it is essential for search marketers to assess changes in the search landscape. Moreover it is also beneficial for optimization of policies. Long clicks take place when users perform a search and clicks on a result, remaining on the site for a long period of time. In the ideal scenario, they do not tend to return to the search results to click on some other result or to reframe their search. They do not return back to the result set immediately in order to click on another option. Long clicks, in general are alternative for satisfaction and success. 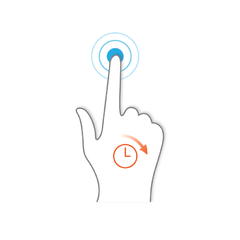 A short click on the other hand takes place when a user tends to perform a search and clicks on a result and then returns to the search results quickly to click on another product. They are an indication of dissatisfaction and failure. Short clicks is when a user performing a search gets back and forth between the search engine result page – SERP, for the search option and sites displayed within the result. In this case, the user does not come back to the result page immediately to click on other search option or to change the search option. From the point of view of Google’s perception the outcome which ends with longer clicks successfully fulfils the search query. Moreover, a search engine also determines the time taken between clicks as a means of satisfaction which would decrease the chances of providing results which do not deliver valuable content for a specific search query. This data can be stored for each search query and compared to the normal short click behaviours by a SERP rank page. For instance, if Google finds that the first result for a search query tends to have a remarkable high bounce rate, this information is read as negative signal by the search engine’s algorithm. Subsequently, the search engine tends to reduce the page’s rank within the SERP in its future algorithm update. For the result to be highlighted, it would perhaps need a statistically above average short click rate. Google tends to measure short click activity by leveraging the prevailing tracking mechanisms. The long clicks are important to Google since it provides a means to measure the satisfaction of the result established on downstream behaviour. Google is aware that the search algorithm is still not quite smart and could tend to make mistakes. This could often lead to wrong path by forceful search engine optimization. Feedback mechanism is provided by long clicks, a kind of human quality assertion which could be lacking in the algorithm. The talk from Google could be a part of the algorithm, though what the future holds in store remains to be seen. Google is planning to change the way its influential search engine endorses websites on tablets and smartphones which is expected to control where most of the individuals shop, eat and obtain information. The formula to be revised is scheduled to be released soon and would be favouring websites which Google considers as `mobile friendly’. Websites that do not tend to fit into the description would be demoted in Google’s search results on the tablets and smartphones and those qualifying for the same would be more likely to appear at the top of the rankings which will be a prized position enabling them to translate into more visitors and money. Though Google’s latest formula would not be affecting searches on the laptop and desktop computers it would be having a large effect on how and where individuals spend their money, now that most of them have been relying on their smartphones while comparing products in stores and in locating restaurants. Hence, Google’s new rating system is being billed by some of the search experts as `mobile-geddon’. According to CEO of websites building service Duda, ItaiSadan, comments that `some sites will be going to be in for a big surprise when they find a drastic change in the amount of people visiting them from mobile devices’. 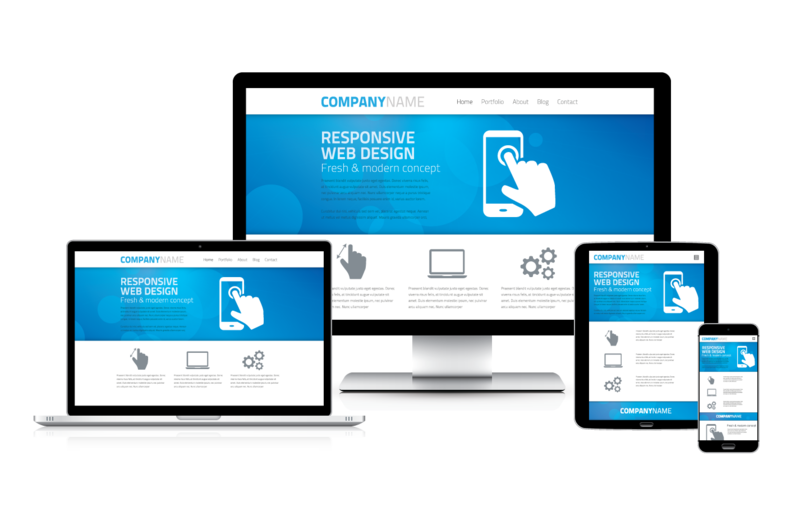 Websites need to be designed in order to load quickly on mobile devices to stay in Google’s good style. The content also needs to be accessible easily on scrolling up and down without the need to swipe left or right. It would also be helpful in making purchases or taking other functions on the website could be seen easily and touched on small screens. Google has revealed its plans almost two months back, to reduce complaints. It also created a detailed guide and a tool to test compliance along with the new standards. The company faced disturbance over the past changes in its search formula. In 2011 and 2012, two of the bigger revisions done were focused on clearing out misleading websites. Though the attempt sounded reasonable, several websites complained that the company’s changes unfairly demoted them in the ranking and made their content difficult to locate. Though most of the major merchants as well as big companies have websites which tend to meet up with Google’s mobile standards, it is considered that the new formula is likely to hurt millions of small businesses which do not have the money or incentive to familiarise their sites for smartphones. McGee is of the opinion that `a lot of small sites do not really have reason to be mobile friendly till now and that it would not be easy for them for these changes’. The Search formula comprises of a variety of factors in determining the rankings of its results. One being the most important consideration is that whether a site contains the most relevant information pursued by the search viewer. New striking order in Google’s mobile search could demote some sites to the back pages of the search results inspite of their content being more relevant to a search request than the other sites which tend to be easier to access on smartphones. White Andrews, Gartner analyst states that this could be a very unfortunate significance though justifiable since the viewer would not be inclined to view other sites which would take a long time to open or difficult to read on mobile devices. He adds further that `availability is part of relevancy and a lot of people are not going to think something is relevant if they cannot get it to appear on their iPhone’. Neil Shah, research director for devices and ecosystems with Counterpoint, a technology market research firm comments that `in the end, Google is an advertising platform company and its success is based on the success of its digital marketing customers’. Is that a bird? An airplane? Or may be superman? No that is the “Pigeon”. 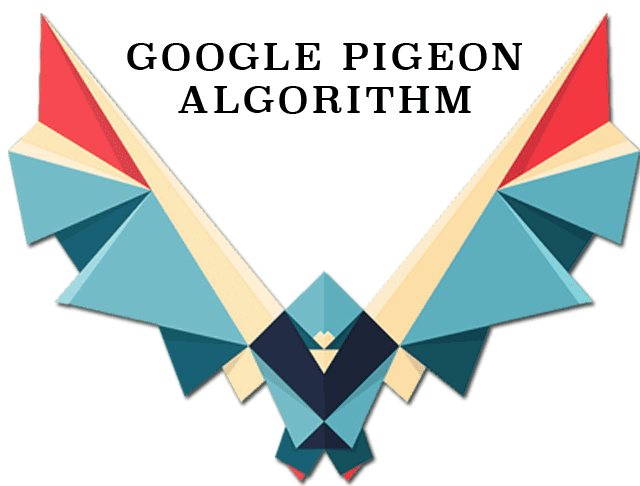 Google has recently updated their search algorithm with undisclosed changes and the folks at Search Engine Land have dubbed it “Pigeon” as it lacks any internal names among Google’s mojo and the last one was named “Panda”. The update has only been rolled out in US English searches and will be gradually rolling out for others, though a timeline is not available at the moment. While this has led to a lot of speculation about its effects on rankings and relevance of search result along with more localization, we try to dissect and strain out whatever useful information we can from this update. What it brings to the Table? The core changes have happened behind the scenes and are not fully disclosed by Google till now. However, it seems like it is affecting local search results. Some sources have quoted saying that local searches are now more tied to local information in traditional Google search and from Google maps. Talking specifically, you may now see the top carousel displaying contextual and relevant information in a visually appealing package. Also local directory searches are getting more preferences now along with Yelp at top result for searches specifying it, which also implies that individual items don’t show until 2nd page. What is in it for Business? The most recently affected are small businesses. Small businesses may see an increment or decrement in their referral count, leads and other statistics. Major directory websites like Yelp, Trip Advisor, Urbanspoon are experiencing increased page 1 rankings and some changes in search results. Google has also said that their new algorithm improves parameters such as distance and location ranking significantly, and is aiming to provide more relevant/contextual results for end-users but it may be affecting individual businesses to get a better SERP. Thus more localization can be a boon for directory based searching where as a bane for individual websites thus making your SEM all the more important to stay relevant. We all like to know the whys of every change that happens specially if it affecting us. Thus it is legitimate to ask why this sudden shift in focus? Right at this moment it is more speculation than fact as the rolling out is partial and it will take more analyzing to come out with something concrete. One reason can be the fact that Yelp accused Google of favoring their search results. In addition, users on mobile devices would be happier if searches provided them with detailed location, information and localized information might warrant a shift as mobile is becoming an increasingly important strategy. Hence, it seems like we may have to play the “wait and watch” game for a few weeks. Some are already stating that Google has turned the world of digital marketing on its head. For any SEM professional this can be the most challenging and scariest of propositions to deal with. A high degree of adaptability and vision is required to taste success. As it is often said, “Survival of the Fittest”.